Surebonder all-temperature mini hot melt adhesive works at either low temperature (230 degrees F) or high temperature (380 degrees F) for everyday gluing projects. Use with high or low temperature glue guns. Bonds to metal, wood, paper, fabric, magnets, ceramics, floral arrangements, glass and plastic using a high temperature glue gun. Bonds to delicate materials such as balloons, ribbon, lace and children's crafts using a low temperature glue gun. Clear color with 60-65 second working time. 5/16 -Inch diameter by 4-Inch length. 100 sticks per bag. 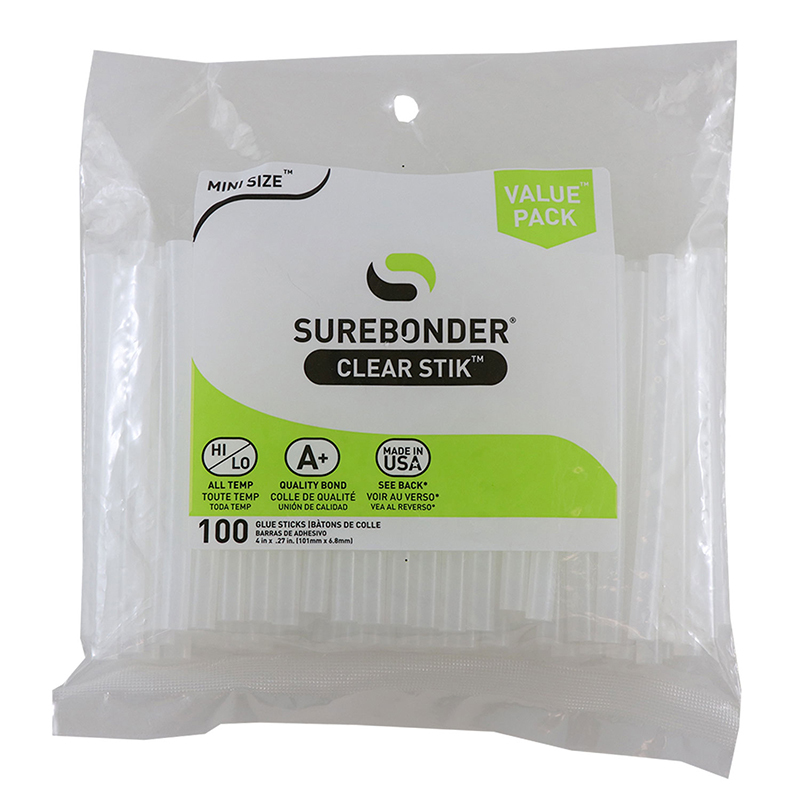 The Mini Clear Glue Stick 100 Pksize 4 Dual Temp Surebonder can be found in our Glue/adhesives product category within the Arts & Crafts. 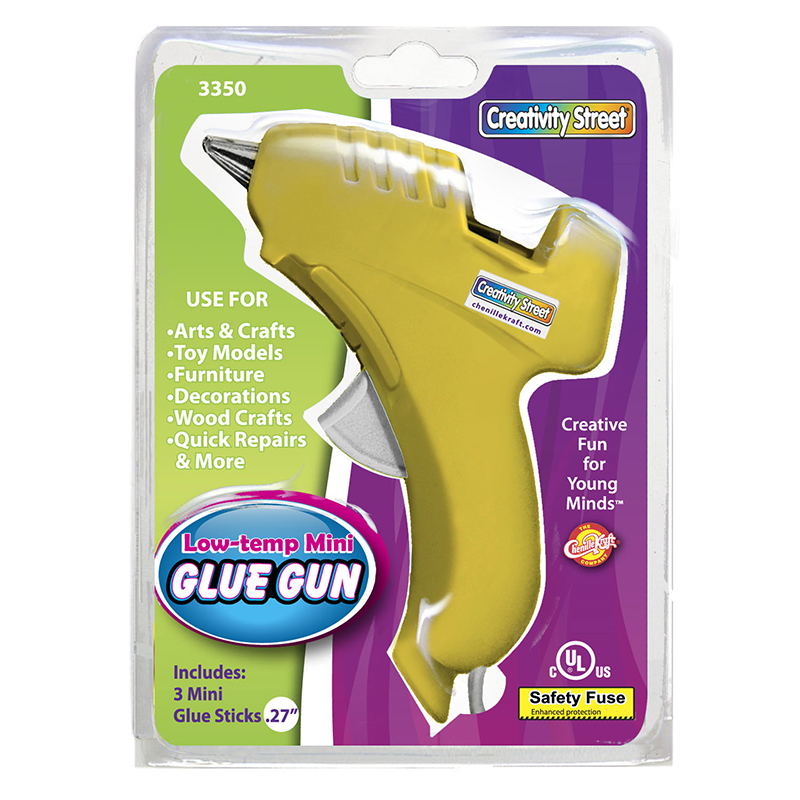 Mini-Glue Gun melts glue at 220 degrees F for safer use by young children. 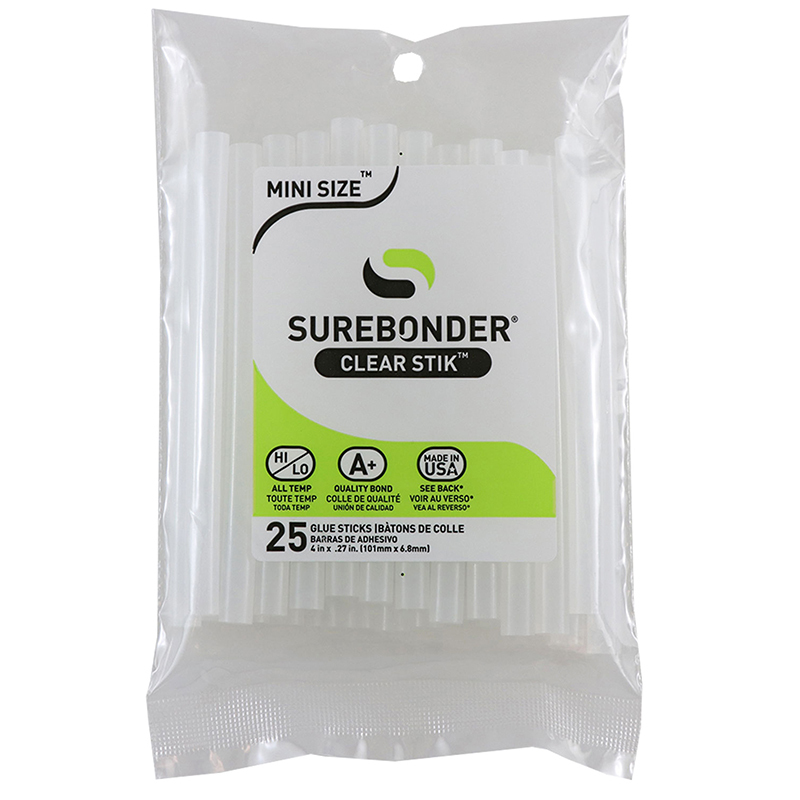 Uses 5/16" diameter glue sticks for quick repairs, toys and models, furniture, wood crafts and more. Plugs into any standard 120 volt electrical outlet. U.L. approved. Comes with three glue sticks. For ages 5 and up.